After countless Bush Tucker Trials and some delicious Dingo Dollar Challenges, we finally have our winner of 2018’s I’m A Celebrity… Get Me Out Of Here! 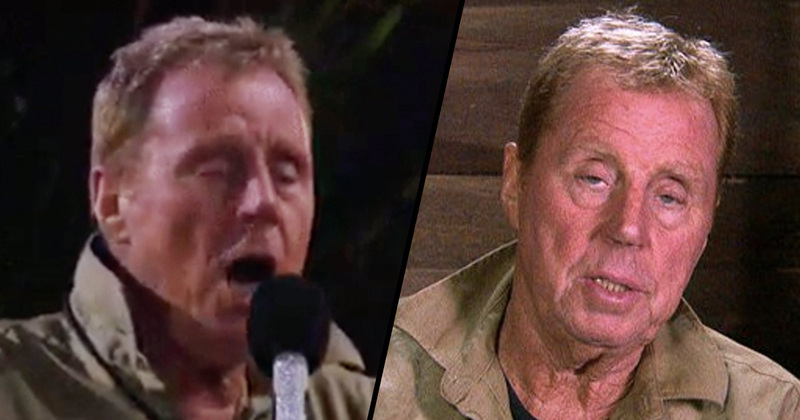 Harry Redknapp has been crowned king of the jungle. After singer Fleur East was voted off on last night’s episode, the final came down to John Barrowman, Emily Atack and Harry Redknapp battling it out for the title. Though it must be said that it was hardly a battle, as this year it seemed the campmates genuinely got on really well and – no matter what the producers literally threw at them – all the celebs remained firm friends throughout the process, supporting each other rather than falling out. But no matter how well everyone got along down under, there could only ever be one winner. In the run up to the final, Harry was the runaway favourite to win, with odds of 1/7 (that’s seven to one on), while John had odds of 11/1 and Emily came in third with odds of 14/1. All the finalists made their impressions throughout the show, from Emily’s ‘journey’, to John carrying on despite his injury, and Harry’s legendary stories and unflappable devotion to his wife of 51 years, Sandra. Harry also revealed pretty early on that he doesn’t have a sense of smell, so no wonder he was a great campmate when it came to cleaning out the dunny. While he had some questionable moves in the camp, like his interesting shower with Fleur, it’s fair to say Harry won over hearts with not just his campmates but viewers everywhere, too. John kept camp spirits up with his ceaseless singing of show tunes, and general chipper attitude. The actor also established himself as a fan favourite early on, as he threw himself at challenges and embraced the Bush Tucker way of life. Inbetweeners star Emily Atack, meanwhile, also won legions of fans thanks to her readiness to face her fears, try new experiences and remain her honest self throughout the whole series. Narrowly missing out on the final three, Fleur put her money on Harry taking home the crown. It’s got to be Hazza! It’s the minute I saw him I just looked in his eyes and it was like BAM, family. It’s like I’d known him for years and years. After eating various things that shouldn’t really be eaten, having thousands of insects and critters thrown all over them, and ultimately taking on the Cyclone Challenge, the finalists certainly had a rollercoaster few weeks in the jungle. With Holly Willoughby taking over presenting duties alongside Declan Donnelly, after Ant McPartlin decided to take a break following recent incidents, it seems the new formula for I’m A Celebrity has left a wholly positive impression not just on the campmates but viewers and fans alike.